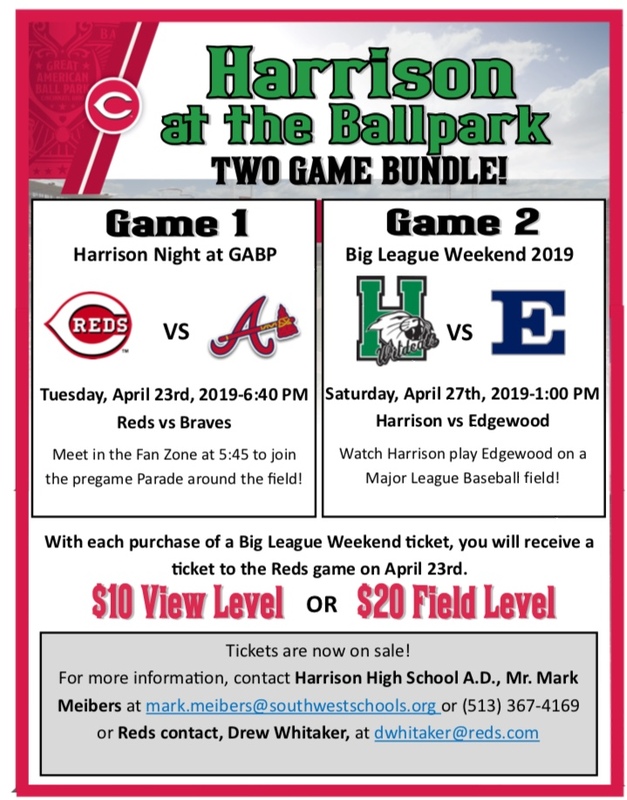 This is an invitation for ALL Harrison groups and activities, K to 12, to take part in the pregame parade for Harrison night at Great American Ball Park on Tuesday, April 23. If you have a group, club or organization that is interested, please contact Athletic Director Mark Meibers so we can arrange your tickets and make sure you are set up for the event. Mark can be reached via email at mark.meibers@southwestschools.org or by phone at 513-367-4169. The high school baseball team will be in attendance for this pregame parade and we invite all the other groups to attend and take part.